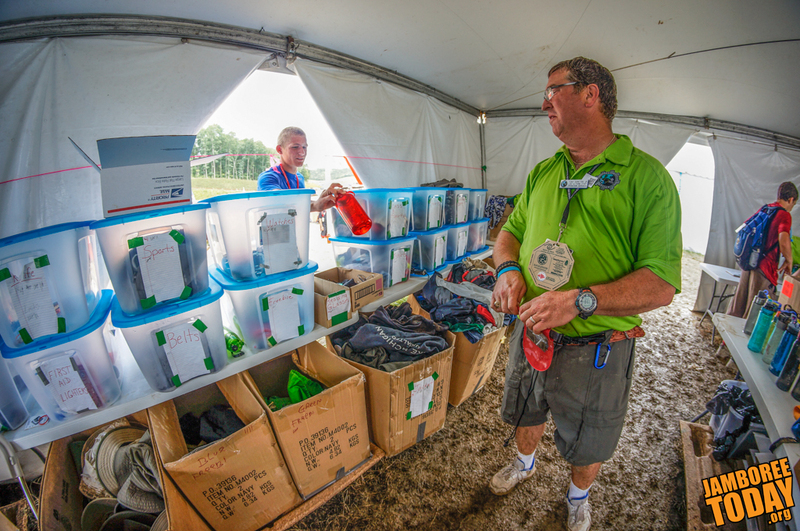 Tony Goretski, Jr., and his team are ready to return participants' lost and found items. Photo by Reed Skylingstad. "After they close today, high value items such as phones and cameras may be claimed by contacting the national office for as long as six months following jamboree," says Jeffs. "Low value items will be donated to charitable organizations within a short time." For further information about lost and found at the Summit Bechtel Reserve, please contact 818-800-2276.